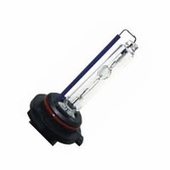 HID stands for "High Intensity Discharge". 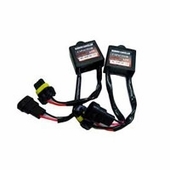 HID Conversion Kit is the revolution concept in automotive lighting industry. The concept of HID system is to produce high lighting output which are 3 times the brightness compare to traditional headlights. Upgrading to Xenon HID headlights will increase night time driving visibility instantly. You will feel much more confident behind the wheel when driving during night time. 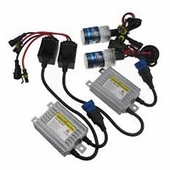 HID kit are extremely simple to install. 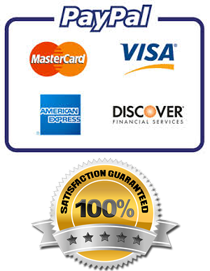 You will be surprise how easy the HID kit is for installation. 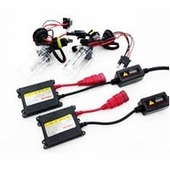 The entire kit comes with 2x simple ballast and 2 light bulbs, along with installation instruction and hardware. HID headlights are quickly becoming the fastest growing trend in the automotive industry. It is the most simple and fastest way to add style while increasing safety all in one modification. Featuring 3000K Yellow, 4300K OEM White, 6000K Crystal White, 8000K Crystal Blue, and 12,000K HID conversion kit. The human eye responds well to HID lights. The iris expands when light is bright and contracts when light is dim, opening and closing the pupil to control the amount of light that reaches the retina. In addition to regulating brightness, this mechanism affects "depth of field" - the range within images appear clear. HID Lighting creates sharper contrast. Lights are lighter, darks are darker, and objects in your environment are sharply defined. HID lighting increase both viability and safety during night time driving. Driving with HID headlights can be more fun during night time. Traditional halogen headlights blend in color, so it does not give you the true color on the street. With HID headlights, you can see the true color on the road. HID is also noticeable during day time driving, so you can use it as Day Time Running Light.